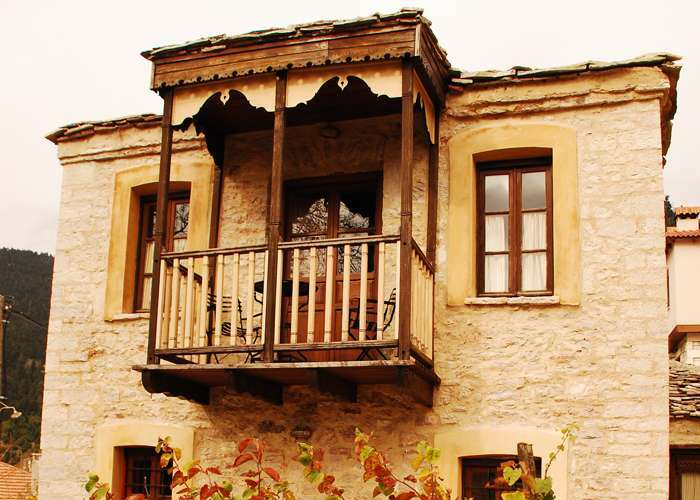 The village is composed of 4 houses, Anatoli, Archontiko,Castle and Korys, the complex of furnished houses Epoches hotel and finally Cyclamino and offers a quality Karpenisi accommodation. 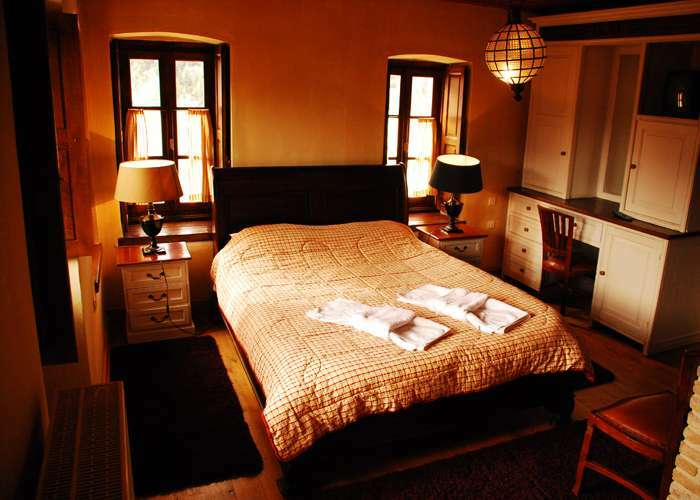 Anatoli has 16 rooms (7 double rooms, 2 triple rooms, 2 suites, 2 apartments, 1 apartment for 5 people and 2 quads). Archontiko with 4 rooms (2 double rooms and 2 triple rooms). 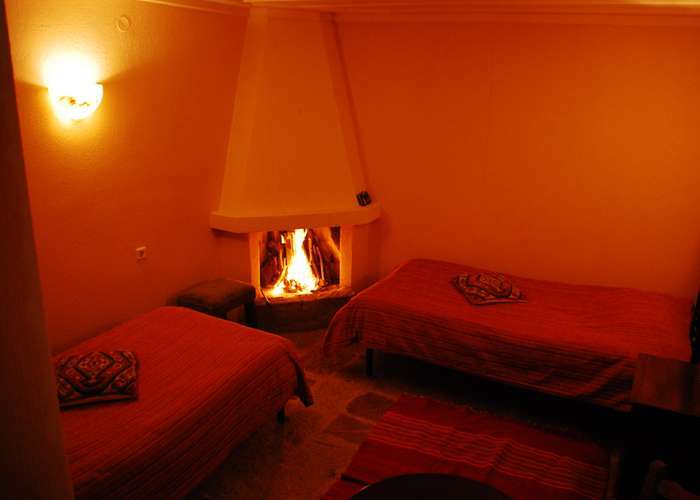 The furnished apartments have a living room with fireplace, fully equipped kitchen, 2 bedrooms with bathroom. Finally the hotel Cyclamino has 3 mazonetes, 1 double room and 3 apartments accommodating 4-8 persons. Select the suitable house for you and enjoy the best accommodation in Koryschades. In our village there is a restaurant located in the village square, a unique option for guests to taste our local cuisine including local meats, pies and local cheese. 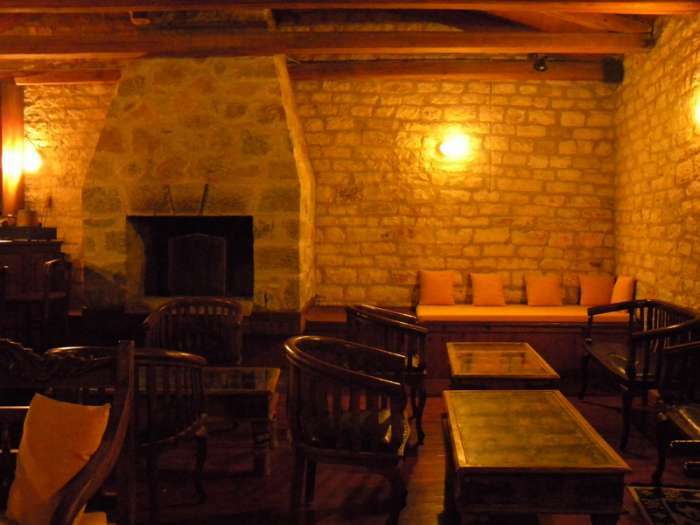 Also in our main building you can enjoy your coffee accompanied with traditional sweets and raki of different varieties. 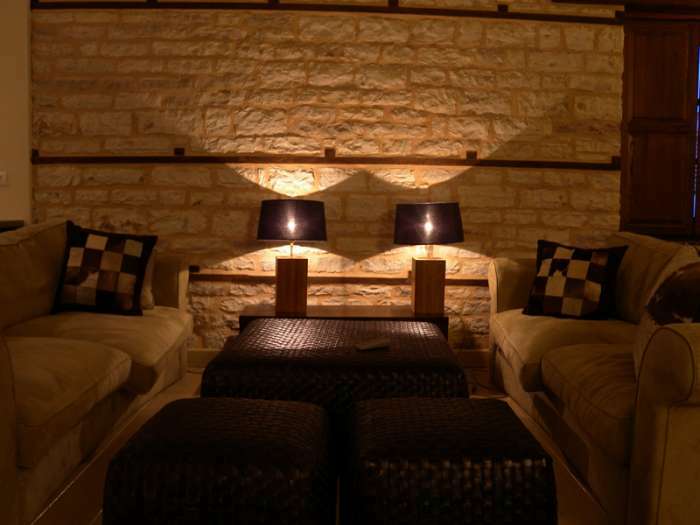 Finally, in our village, visitors can relax in the heated pool of our luxury hotel in Karpenisi. Karpenisi is located at 960 meters altitude and has a population of approximately 10 000 and is an ideal destination for winter vacation. Karpenisi despite its renovation ... manages to keep the lures and the old character that is given by the infinite nature that surrounds it. Karpenisi is and always will be Rumeli with an honest heart, casual and innocent of roughness, with the incomparable pride, the moving naivety. 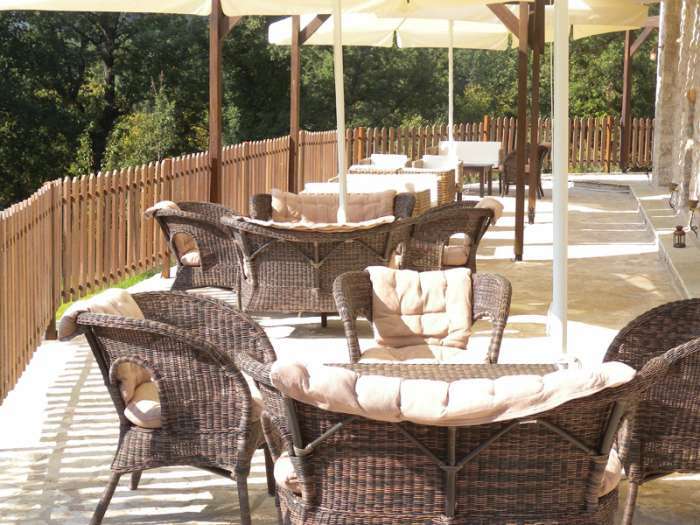 Spend the best vacation in Karpenisi, Koryschades at our hotel. Koryschades offers numerous activities such as horse riding and mountain bike, rafting in Tavropos and Trikerioti, hiking in the black cave, 4x4 trip at Panta Vrehi and canoe at the lake. At the foot of the village you can ride with the help of a guide and walk the scenic trails along the banks of Karpenisioti which leads to the historic bridge of Koryschades. The descent of the river in an inflatable boat is a relaxing and enjoyable experience for those who do rafting for the first time and not only. The downhill section is from the bridge Graveniti to the base of the Park. The route passes by the old bridge Viniani and has a length of 10 km. Discover the beauty of western Evritania tasting canoe-kayak at the Kremaston lake. On the summer you can swim in the calm waters of the lake. You should not miss a day trip to the legendary Agrafa by jeep 4X4 combining hiking in nature. It is worth visiting the monastery of Proussiotisas located 30 km from the Koryschades and then hiking in the Black Cave passing through a magical journey with beautiful waterfalls and beautiful bridges leading into the gorge of the cave. 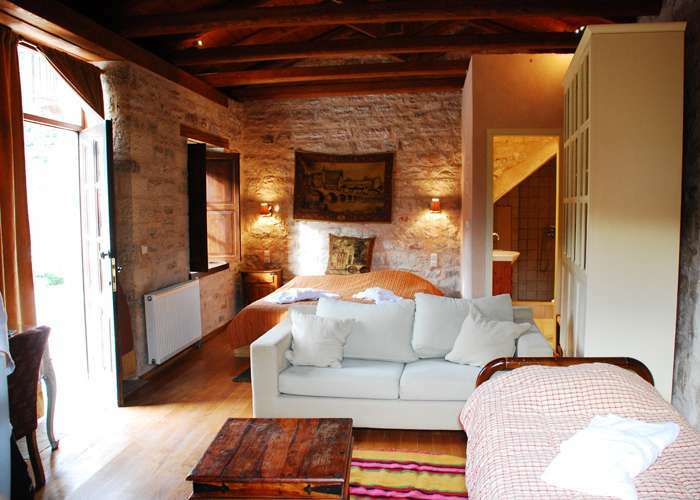 Two nights in a double room in our village 120 euros. 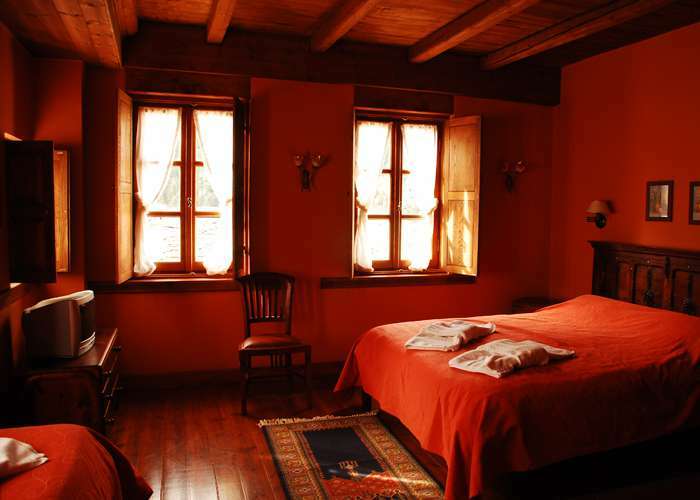 Two nights in a double room in Kyklamino 140 euros. 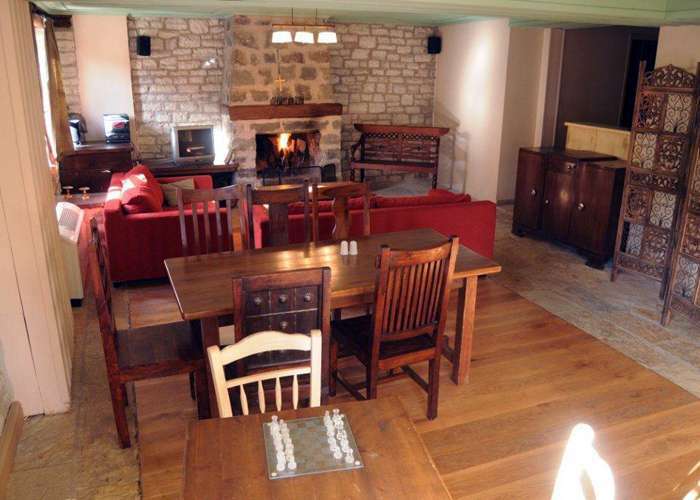 Two nights in a family room in our village 150 euros. 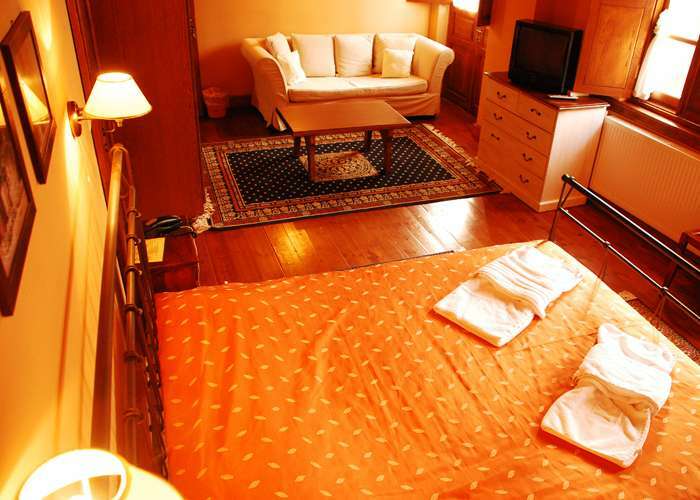 Two nights in a family room in Kyklamino 170 euros.